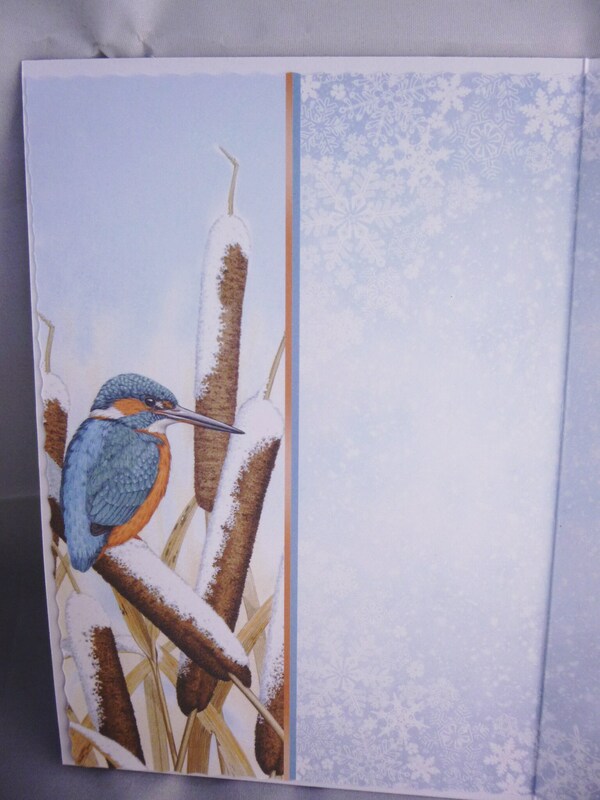 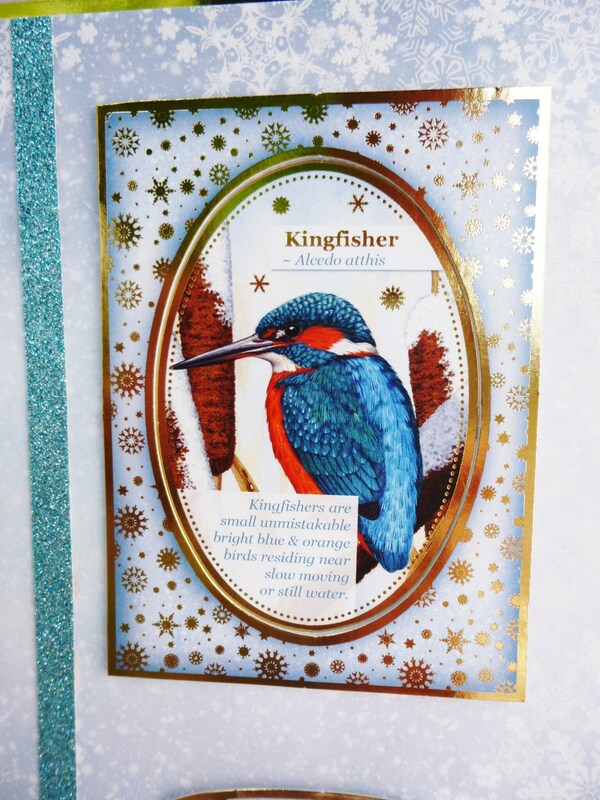 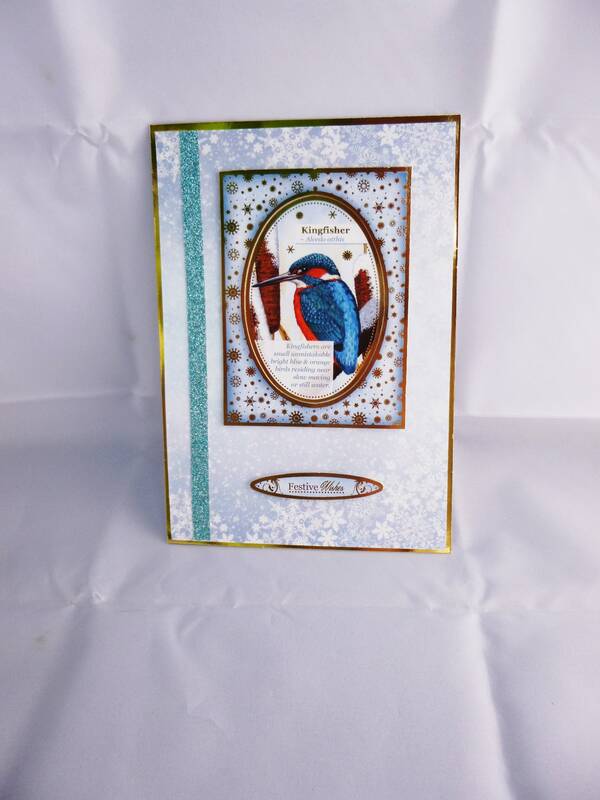 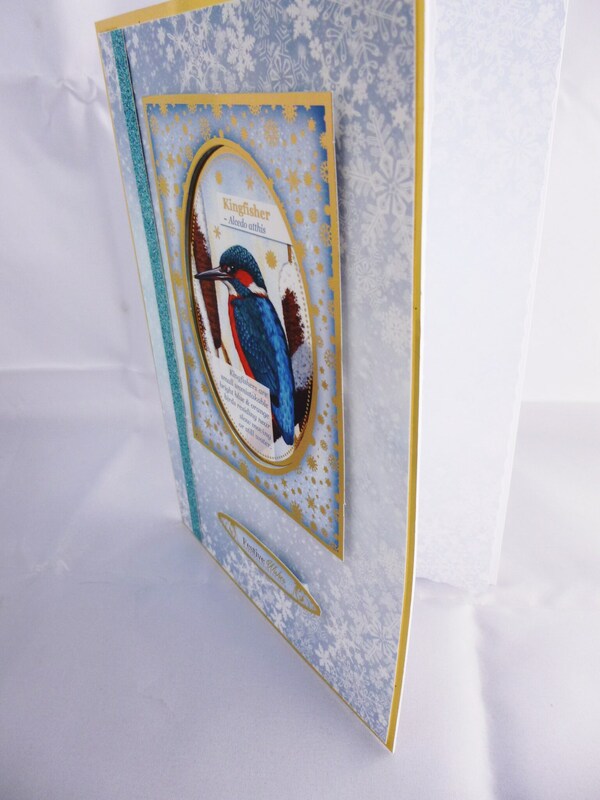 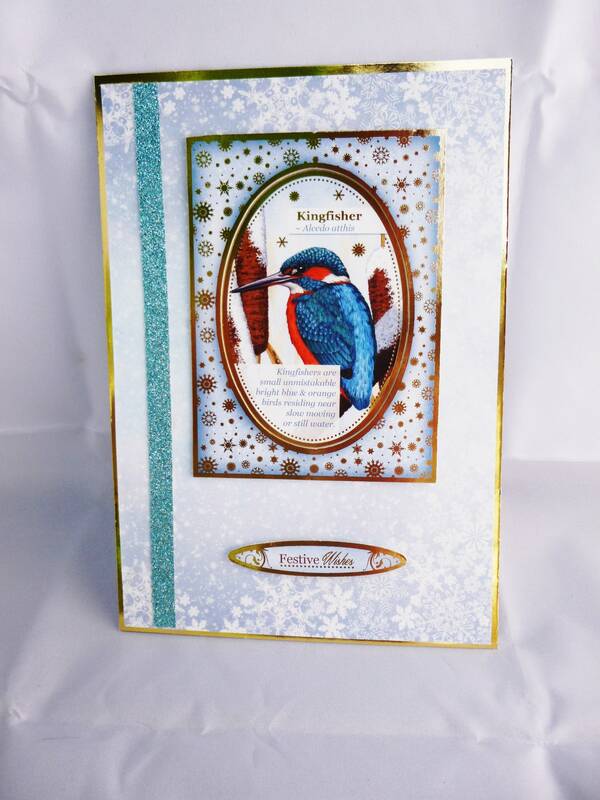 Slightly different Christmas card, of a Kingfisher, made from white base card and layered with gold card and patterned card. 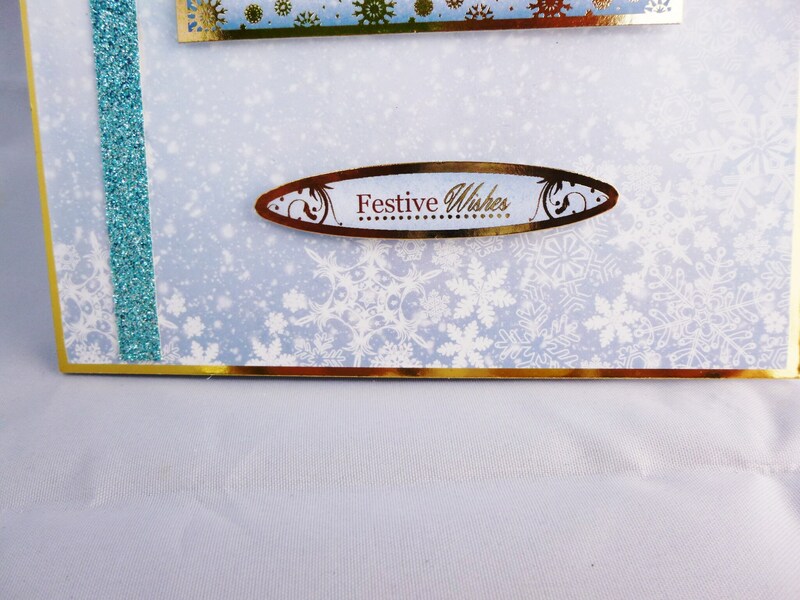 A large rectangular frame with an oval topper in the centre, at the bottom of the card is a sentiment which says,' Festive Wishes'. 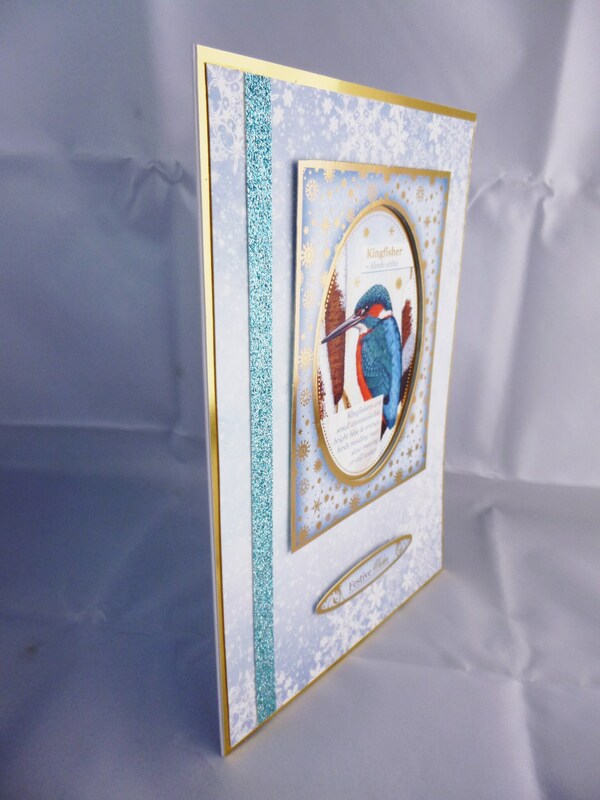 Down the left hand side of the card is a blue glitter strip. 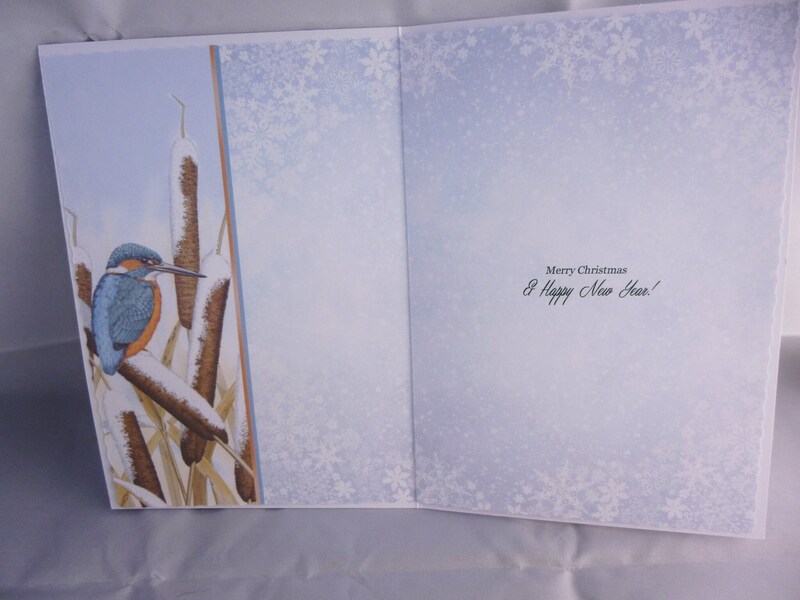 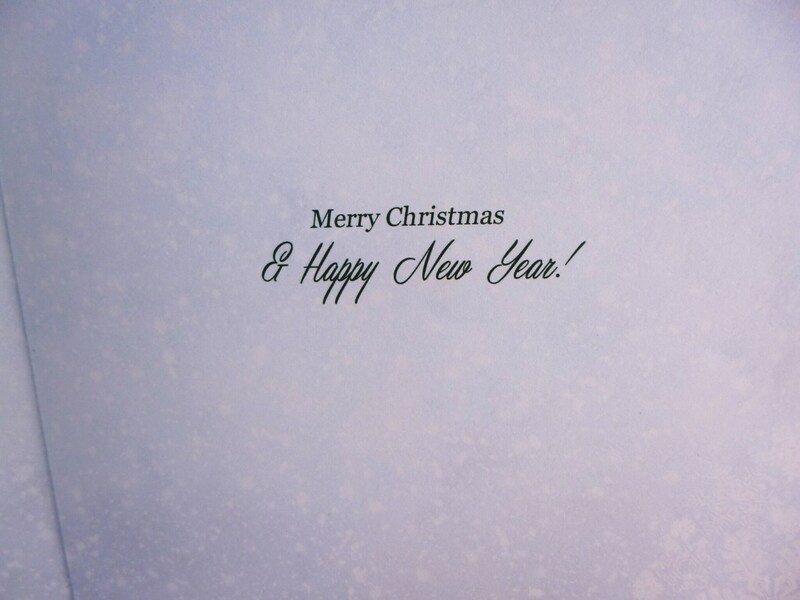 Inside the card is matching insert paper with the words ' Merry Christmas and Happy New Year'.